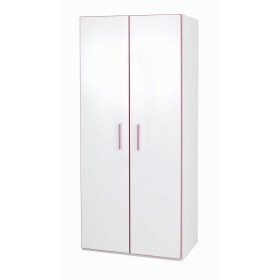 Great value, good looking bookcase.Teen mode pink and white bedroom furniture is a practical and fun bedroom furniture range for growing children in need of space for storage and study.Great prices and FREE delivery. 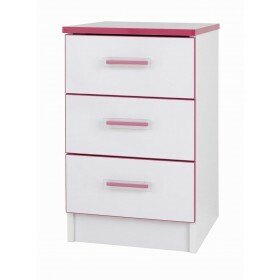 White bedroom furniture with impact resistant coloured edging. Pop Out castors fors transportation.